On November 10, 2015, Chinese President Xi Jinping, held a ceremonial meeting in the Hall of the People in Beijing with the President of Mongolia, Tsakhiagiin Elbegdorj, there on invitation on a state visit to China. The Chinese President’s opening speech described the current state of Chinese-Mongolian relations as, “… currently in their best ever phase” in history. It should be pointed out that both countries aimed at a strategic partnership since 1990 and the victory of the democratic revolution in Mongolia, which marked the beginning of the rapid development of the Mongolian-Chinese relations. An important milestone on this path was the Treaty on Friendly Relations and Cooperation of 1994. Drawing on the provisions of the treaty, by the end of the twentieth century, China had already become a major trade, economic and strategic partner of Mongolia. The Joint Declaration on the Establishment of Comprehensive Strategic Partnership, adopted at the end of Xi Jinping’s visit to Ulaanbaatar in 2014, according to his fair valuation, “marked the beginning of qualitatively new bilateral relations.” Communications between Mongolia and China immediately dramatically increased, not only between citizens of both countries in the context of cultural exchanges, but also at high and the highest levels. Suffice it to say that Ts Elbegdorj was in contact with Xi Jinping 5 times in 2014, and 3 times in 2015. In the summer of 2015, in Hohhot, the capital of the Autonomous Region of Inner Mongolia, the first ever joint trade and economic exhibition successfully took place. Over the course of the exhibition, 166 agreements were signed between business entities worth a total of 1485.9 yuan. Additionally, the first joint exercises to combat terrorism were successfully conducted and an agreement was reached for their continuation. The Chinese party very received the President of Mongolia with all due honour of a state visit. 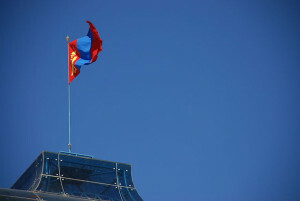 The positive results of the meeting are contained in the “Declaration of Mongolia and China to deepen their comprehensive strategic partnership.” It was reaffirmed that “the development of friendly relations and cooperation is a foreign policy priority and one of the strategic directions of the two countries.” Mongolia has confirmed that it complies with the policy of “One China” and supports China’s position regarding Taiwan, Tibet and Xinjiang. An important point of the aforementioned document was the confirmation of the viability of the active development of cooperation in the defence sphere, in the field of military technology and training, and conducting joint anti-terrorism exercises. 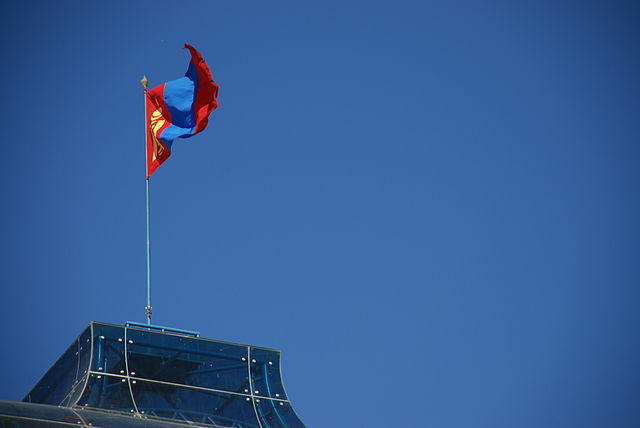 A relatively new development in their political relations was the agreement on the active use of the “mechanism” of strategic dialogue between Ministries of Foreign Affairs, an idea strongly promoted in particular by the Mongolia. Issues on cooperation in the trade and economic sector occupied a large part of the “Declaration” and the most important and new agreements are the decision to prepare an intergovernmental agreement on the integration of the Mongolian Steppe Route infrastructure project into the Chinese One Belt, One Road project, formerly known as the Silk Road, in order to enhance cooperation in the field of agriculture and the creation of conditions required for increasing the export of Mongolian meat and meat products to China. The parties agreed to accelerate the implementation of joint projects such as the development of the Tavan Tolgoi coal mining area and construction of the Shivee Ovoo energy complex, hydroelectric power stations on the River Eg, the rail road south of the meat factory in the border area, among others. The parties accepted the proposal of Ts. Elbegdorj and set a goal of increasing turnover between the two countries to $10 billion by 2020. In addition, the “Declaration” expressed unconditional support for cooperation between the two countries in regional and inter-regional affairs, gave a positive assessment of the second trilateral meeting of leaders of the three countries in Ufa, Russia, stressed the importance of regular tripartite summits and, most importantly, declared willingness to come to an agreement on the creation program of the Russia-Mongolia-China Economic Corridor. As a result of the negotiations, 10 intergovernmental and inter-sectoral agreements were signed that raise the comprehensive strategic partnership to new levels. Two loan agreements were signed for the construction of two new bridges and the repair of an old one in Ulan Bator. In light of the above, the state visit of the President of Mongolia Ts Elbegdorj to the PRC in November 2015 can truly be regarded as an outstanding event in the history of relations between Mongolia and China, a new step forward in the realisation and deepening of a fully comprehensive partnership.